A file with the HWP file extension is a Hangul Word Processor file, or sometimes called a Hanword Document file. This file format was created by the South Korean company Hancom. HWP files are similar to MS Word's DOCX files, except that they can contain Korean written language, making it one of the standard document formats used by the South Korean government. HWP is also an abbreviation for things that have nothing to do with a word processor, like Hewlett-Packard Company (it's old stock symbol, replaced by HPQ) and health and welfare plan. Thinkfree Office Viewer is a free HWP viewer (not an editor) from Hancom. It can open not only HWP files but also HWPX and HWT files, which are similar file formats. This free file viewer supports other Thinkfree Office formats too, like CELL, NXL, HCDT, SHOW, and HPT, as well as Microsoft Office file formats. OpenOffice Writer and LibreOffice Writer are two other free programs that can open and edit HWP files. 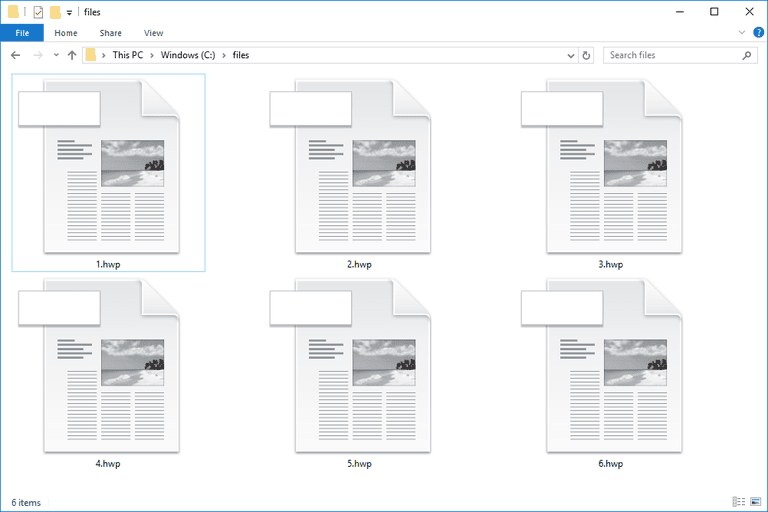 However, when saving HWP files in those programs, you have to choose a different format (like DOC or DOCX) because they don't support saving to HWP. Microsoft provides a free tool for opening HWP files too, called Hanword HWP Document Converter. Installing this lets you open HWP files in Microsoft Word by converting them to DOCX. Microsoft Office, OpenOffice, and LibreOffice can open HWP files only if they were created with Hangul '97 - newer versions of the .HWP file cannot be opened with these applications. Hancom's ThinkFree Office Online lets you view HWP files online. Another option is to use the full Thinkfree Office NEO software, which is also able to save documents to the HWP format. You can get a trial version for free that lasts 100 days. Don't confuse the HWP format with Hedgewars Saved Game or Demo files, which use the HWS and HWD file extension. Those types of files are used with the Hedgewars game. If you find that an application on your PC does try to open the HWP file but it's the wrong application or if you would rather have another installed program open HWP files. If you're already using one of the HWP editors from above, like LibreOffice Writer, you can export or convert the HWP to DOC, DOCX, PDF, RTF, and other document formats. You can also use a free file converter to convert the HWP file to another format, like Online-Convert.com. To use this online HWP converter, just upload the. HWP file to the website and then choose a format to convert it to, like ODT, PDF, TXT, JPG, EPUB, DOCX, HTML, etc. Then, you have to download the converted file back to your computer before you can use it.